Advancements in and the rapid proliferation of modeling and simulation have led to new technologies such as digital twins and have given engineers a “data-rich” environment for conducting predictive analytics. Yet, simulations are a deterministic analysis, not considering real-world variability and uncertainties surrounding the simulation process. By accounting for the uncertainties in their simulation models, engineers can develop an accurate predictive model, enabling the performance of advanced analytics, including uncertainty quantification (UQ), design space exploration, trade studies, and predictive maintenance. These predictive capabilities can significantly reduce product development, warranty, and sustainment costs as well as improve product reliability and durability. In this presentation, guest speaker Gavin Jones will show how SmartUQ's software can enhance product development and design exploration activities in the COMSOL Multiphysics® software through the application of predictive analytics and UQ techniques. 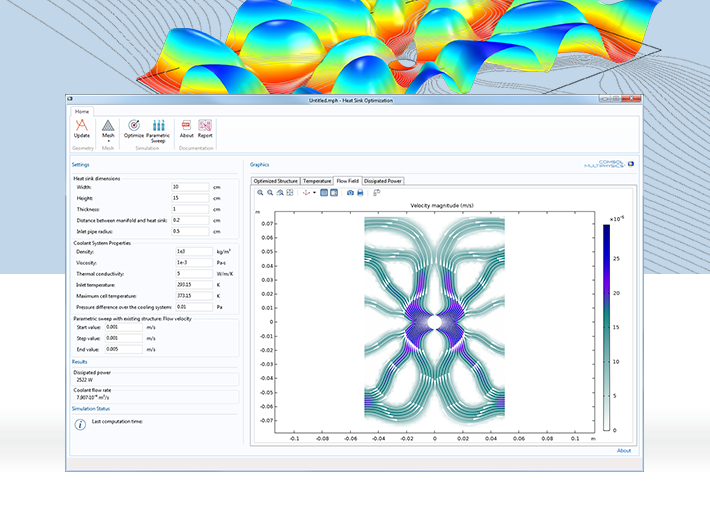 Using a NACA airfoil CFD simulation for demonstration, this webinar will discuss SmartUQ’s analytics workflow coupled to COMSOL Multiphysics®. Please note that COMSOL will be providing this partner with contact information for U.S. registrants to follow up on this event and any related questions. Log in or sign up to register. A COMSOL Access account is required to attend Coupling SmartUQ's Predictive Analytics Solutions to COMSOL Multiphysics® Webinar. SmartUQ Gavin Jones is responsible for performing simulation and statistical work for clients in aerospace, defense, automotive, gas turbine, and other industries. He is also a key contributor in SmartUQ’s digital twin/digital thread initiative. Mr. Jones received a BS in engineering mechanics as well as a BS in mathematics from the University of Wisconsin-Madison. COMSOL, Inc. Bernt Nilsson is the senior VP of Marketing at COMSOL. He holds an MS in electrical engineering from the Royal Institute of Technology (KTH). COMSOL, Inc. Chandan Kumar is an applications engineer specializing in structural mechanics and the analysis and design of microelectromechanical systems. He joined COMSOL in 2009. He earned his PhD from Penn State University, where he studied the dynamics of the self-assembly of semiconductor quantum dots. He is a senior member of IEEE.